The first week living full-time in The County a guy stopped me on the street and handed me a package. “Hi. 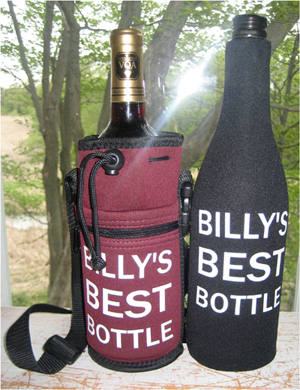 My name is Gord and I got you this.” The bag contained two ‘bottle coats’ – the hugging type – with ‘Billy’s Best Bottle’ written on each. What a nice gesture!